Beni Koji (Red Rice Yeast) by Douglas Laboratories combined with Q-absorb Co-Q10 and Nordic Naturals Ultimate Omega I've been able to avoid taking statins. Have you heard about the improvements red rice yeast can possibly make for your heart health? Douglas Labs’ Beni Koji (Red Rice Yeast) Capsules might be just what you’re looking for. Beni Koji is a bright red rice extract that is then fermented with Monascus purpureus yeast. 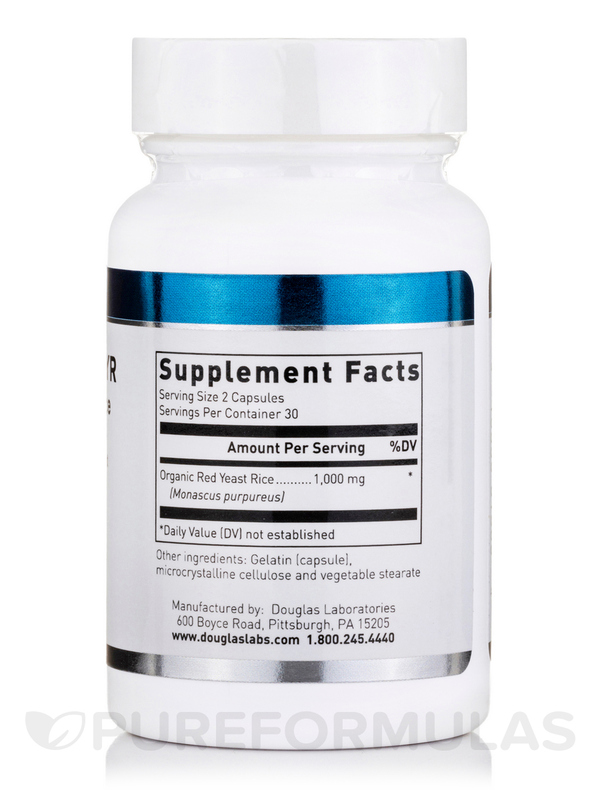 This supplement finds its origins in Asian countries. Let’s look at how it works. Our bodies contain a balance of both good and bad cholesterol. These are known as high density lipids (HDL/Good Cholesterol) and low density lipids (LDL/Bad Cholesterol). They are involved in constant metabolic processes that need to be balanced in order to keep the arteries healthy. Some have suggested that red rice yeast may be able to actually lower LDL levels while promoting HDL production. 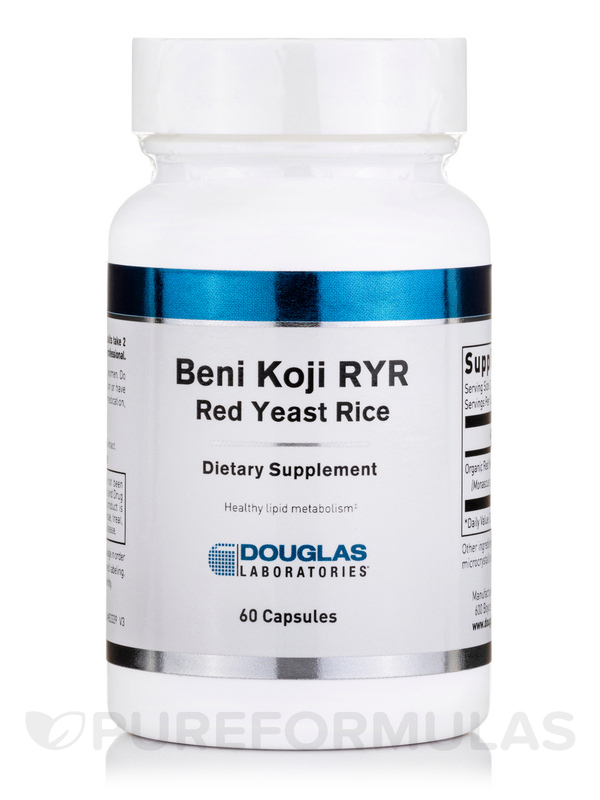 These Beni Koji (Red Rice Yeast) Capsules from Douglas Labs contain 1‚000 mg of this supplement in a single serving. It’s no secret that your cardiovascular system works hard every day. Along with a healthy diet and lifestyle‚ these carefully blended capsules may be able to help you in your search for balanced levels of cholesterol. Each bottle contains 60 capsules of Douglas Labs’ red rice yeast formula. Order with PureFormulas.com today! 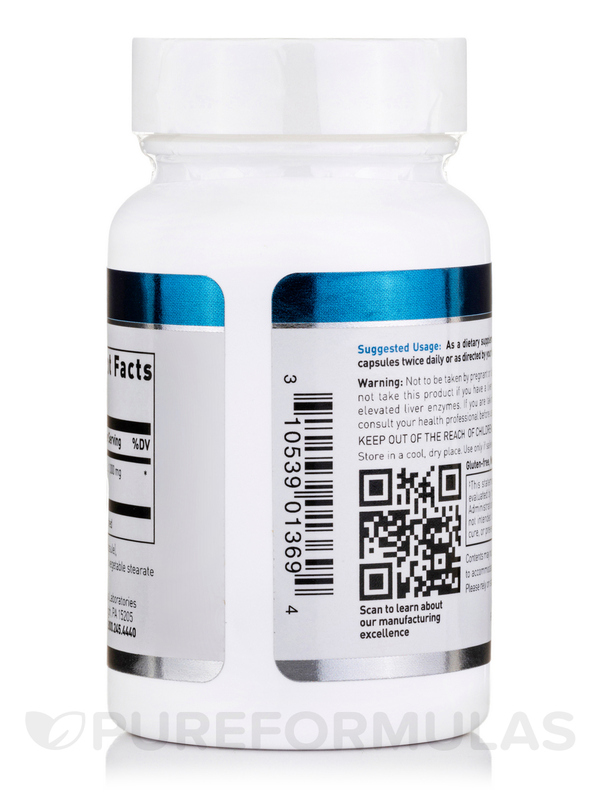 As a dietary supplement‚ adults take 2 capsules twice daily or as directed by your healthcare professional.